The opening MotoGP test at Sepang in January took place without a Malaysian rider and certainly no sign of a Malaysian team. Fast forward to the Valencia finale and Hafizh Syahrin had become the country's first MotoGP rider, concluding his debut season with Tech3, while the newly-formed Petronas Yamaha Sepang team was preparing for its own historic track debut. The project had gone from fantasy to reality in less than six months, an 'unbelievable' task. 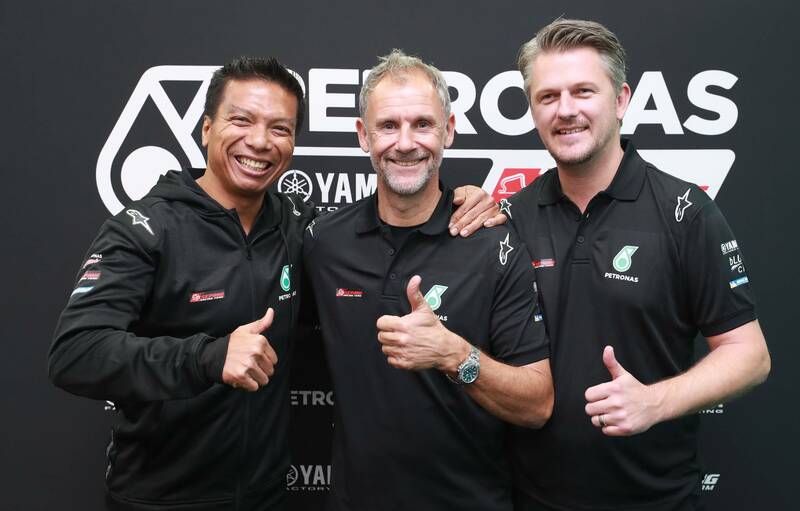 At the centre was Sepang CEO Razlan Razali, whom - having negotiated Hafizh Syahrin's surprise MotoGP move at the start of the season - suddenly saw the 'dream' chance to take his team into the premier-class. Crash.net: Razlan, the year began without a Malaysian MotoGP rider or Malaysian MotoGP team. Did you ever imagine you would have both by the end of the year? "Like you say, who would have thought that for the first test of 2019 at Valencia, not only did we have Hafizh Syahrin preparing for his second season in MotoGP, but we also have a new, fully-fledged, Malaysian MotoGP team. It's amazing! I'm still very excited. The start of the Valencia test also coincided with my birthday and you couldn't have asked for a better present!" Crash.net: You often have a clear vision of where you want to take Sepang in terms of new projects, but was that really the case with the MotoGP team? Razlan Razali: "Except for MotoGP! That was not clear. It's always been a career dream or, being honest, a childhood dream to own a MotoGP team. But I never thought it would be feasible or that there was any chance for us to do it. Because, number one, we are a circuit. "But we had to do motorsport development to promote MotoGP better in Malaysia. That's always been clear and I've never shifted my objectives on that since the very beginning. It's just that our rider development programme got bigger and bigger, and suddenly we got lucky and Hafizh Syahrin went into MotoGP and Petronas joined as our title partner for Moto3. "Then there was some paddock corridor talk with Carlos Ezpeleta, which led to a remote chance of us having a team slot in MotoGP… Then a further call to Petronas… Then a call from Carmelo [Ezpeleta] confirming, 'yes, it's a possibility'." Crash.net: When was that call made? Razlan Razali: "That was in June! So we had less than six months to create a MotoGP team from a blank piece of paper. It's just unbelievable." Crash.net: Unbelievable, or some might say crazy, to try and make a MotoGP team from zero in such a short time. Where did you start? Razlan Razali: "When we were very close to saying, 'hey, this could happen', my biggest worry was who could be the person running it. "I had a discussion with our Moto3 and Moto2 team manager Johan Stigefelt. Of course for Johan, also being an ex-rider, it was his dream to go to MotoGP as well. But we were also both realistic about the limits of his experience and decided we should find someone already very experienced in running a top MotoGP team to give that 'comfort' to our title partner and to Yamaha. "Johan asked around and he knew Wilco [Zeelenberg, rider coach for Maverick Vinales and former title-winning team manager in WorldSBK and MotoGP]. So the first new person I met for this project was Wilco. "We had a meeting with Wilco and he said it would be a new challenge for him after being at Yamaha for so long. He agreed in principal and then we went to speak to Lin Jarvis [Yamaha Racing managing director] and told him it was important for us to have Wilco, so Lin consented to the idea. "And then after that Ramon [Forcada, Yamaha crew chief for Vinales and previously Lorenzo] came into the picture as well. "So these two key guys, supported by Johan, gave me the comfort that it would be okay. "Of course for the first six months, up until now, Johan has been balancing the MotoGP team planning with running Moto2 and Moto3, while Wilco could only come in on a Wednesday or Thursday of race week to contribute, before wearing his Yamaha shirt. "But after those key people were in place, it was just a case of pick and chose, 'we want this guy, that guy'." Crash.net: Did you all sit down together to decide on each person?